Riverview Terrace is a 4-bedroomed holiday home boasting wonderful mountain views and sumptuous furnishings. Located in a peaceful suburb only 5 minutes from Wanaka, it is a fantastic location to enjoy everything the Clutha River has to offer, walking/biking tracks, fishing, boating and swimming. Surrounded by an established, native garden, Riverview Terrace enjoys privacy and views from all rooms. With various sitting and entertaining areas, it is the perfect home for a family group or couples travelling together. All bedrooms enjoy magnificent mountain and valley views, supremely comfortable beds, stylish furnishings and spacious ensuite bathrooms. The large living area with fire, opens up to the gardens and patio where you can enjoy Al Fresco dining. At the end of the garden is a sunken hot tub, providing a place to unwind and watch the amazing light on the mountains as the sunsets or star gaze later in the evening. A fully equipped modern kitchen with large dining table is the ideal place to socialise and relax with friends and family. Minimum stay is 3 nights. A beautiful home, great for entertaining and living in! 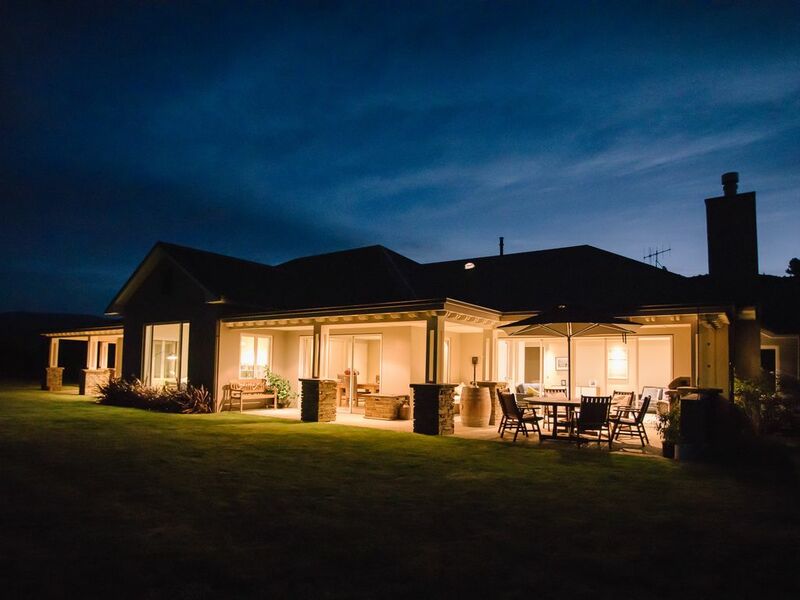 Riverview Terrace Lodge is located 4min drive from Wanaka lakefront in a quiet area with an expansive mountain view to enjoy.